Armenia has always underlined the major role that the Collective Security Treaty Organization (CSTO) plays in the country’s security system. This is what spokesperson of the Ministry of Foreign Affairs (MFA) Anna Naghdalyan declared during a March 20 press conference. In response to the question on the appointment of the CSTO secretary general and the possibility of appointing the secretary general by circumventing Armenia, Naghdalyan recalled that the Prime Minister had ruled out that possibility during his March 19 press conference. “All the decisions of the CSTO are adopted based on consensus. 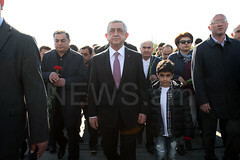 Consultations over the appointment of the secretary general are in progress,” Naghdalyan added. Commenting on Valery Semerikov’s statement that the parties received today documents on the nomination of Belarus’s candidate in the office of CSTO secretary general, Naghdalyan noted that she was not aware of the content of the documents and stated that the principle for actions in such a situation is still not specified. Armenia’s representative Yuri Khachaturov stopped holding the office of CSTO secretary general due to criminal prosecution. Later, it became clear that the Charter of the CSTO doesn’t regulate the situation following early resignation of the secretary general. 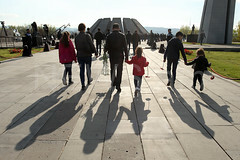 Armenia believes its representative must hold the office until the end of the term of his powers (the secretary general is appointed for a term of 3 years).